God wants us to pray for one another and for our own needs. He also loves prayer of praise and thanksgiving. Please feel free to submit your request for prayers here! 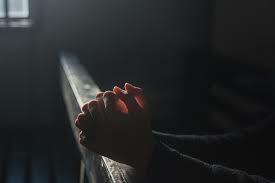 Rest assured your prayer request will remain private among our prayer ministers. This request will be prayed for by a group of parishioners that have dedicated their prayer life to this ministry.